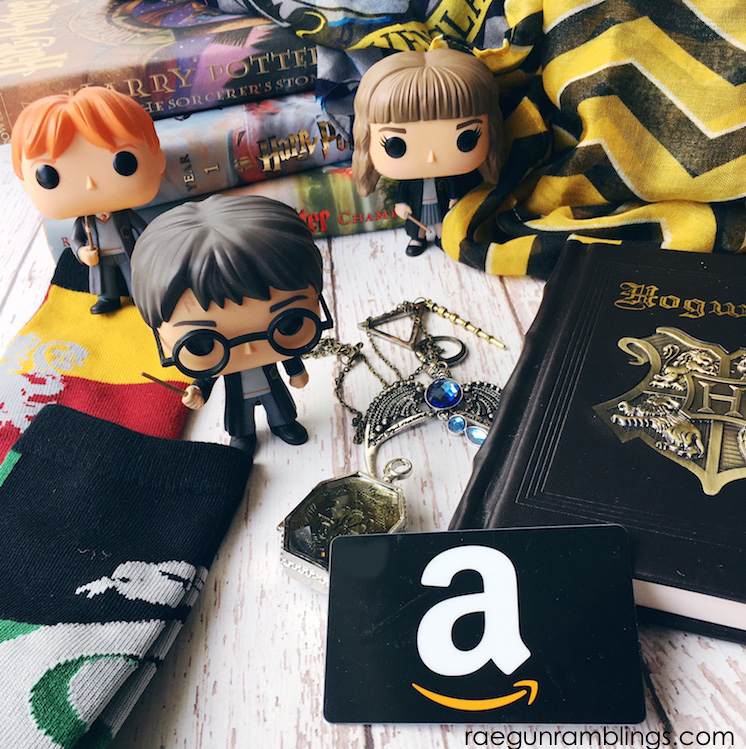 Do you love all things Harry Potter? I know I sure do! So I’m excited to announce that I am participating in a fun Harry Potter series hosted by the fabulous Marissa of Rae Gun Ramblings. In June we went on vacation to southern California. 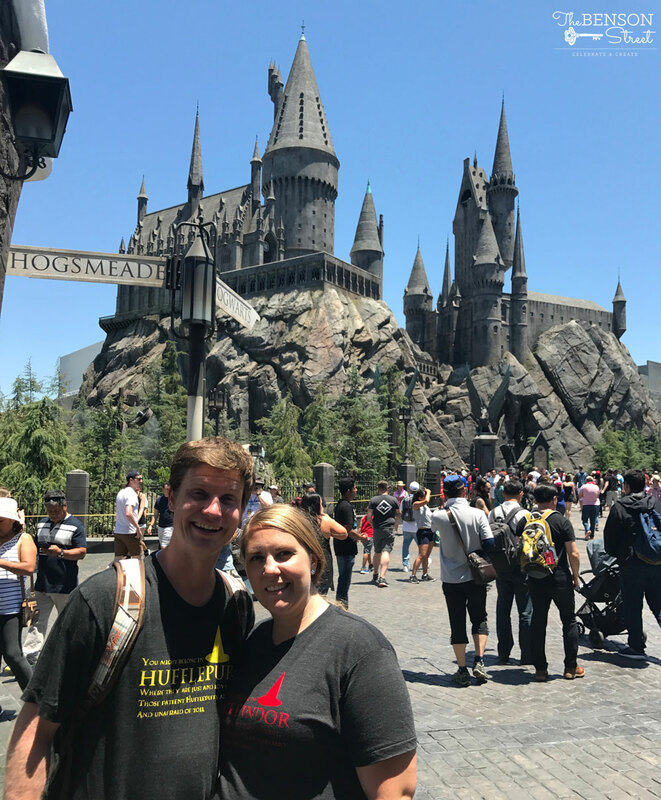 We headed to Disneyland and then headed to Universal Studios to the Wizarding World of Harry Potter! (If you are wanting to head on over to southern California, check out Get Away Today for great deals and $10 off with promo code BENSONSTREET). And we were excited, so naturally I had to make us some fancy shirts for the occasion. 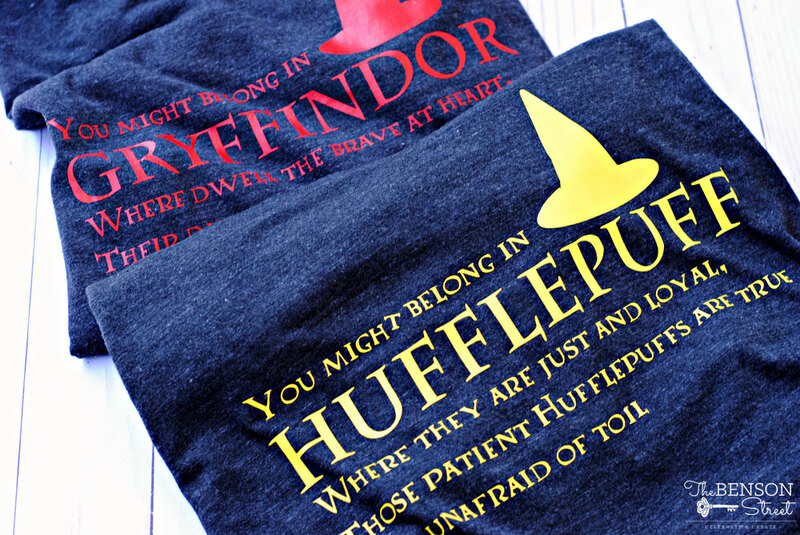 If you haven’t been sorted, you better run to Pottermore (the official way to get sorted) so you can make one of these Harry Potter sorting hat shirts. 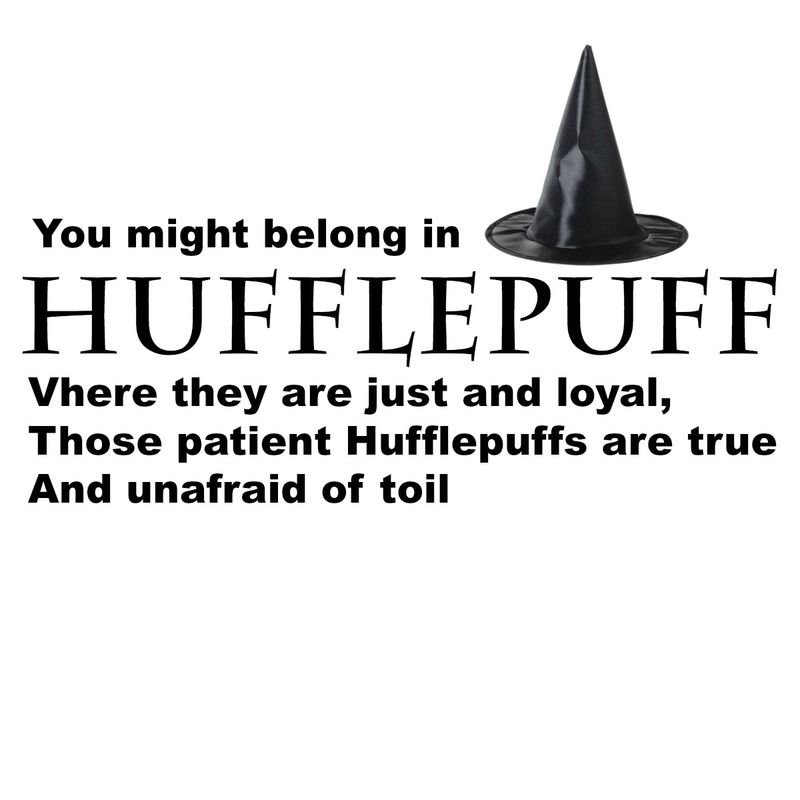 The Mr. is a proud and true Hufflepuff. 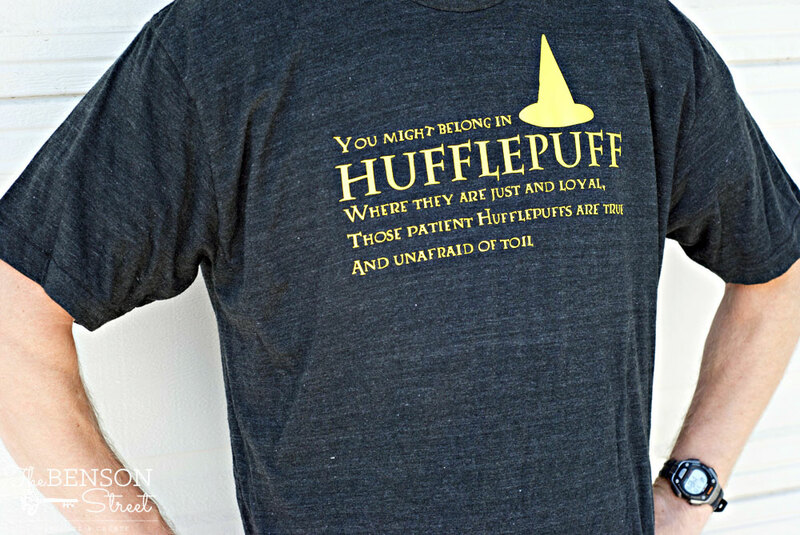 Hufflepuffs get a bad wrap sometimes, but they are actually pretty special. 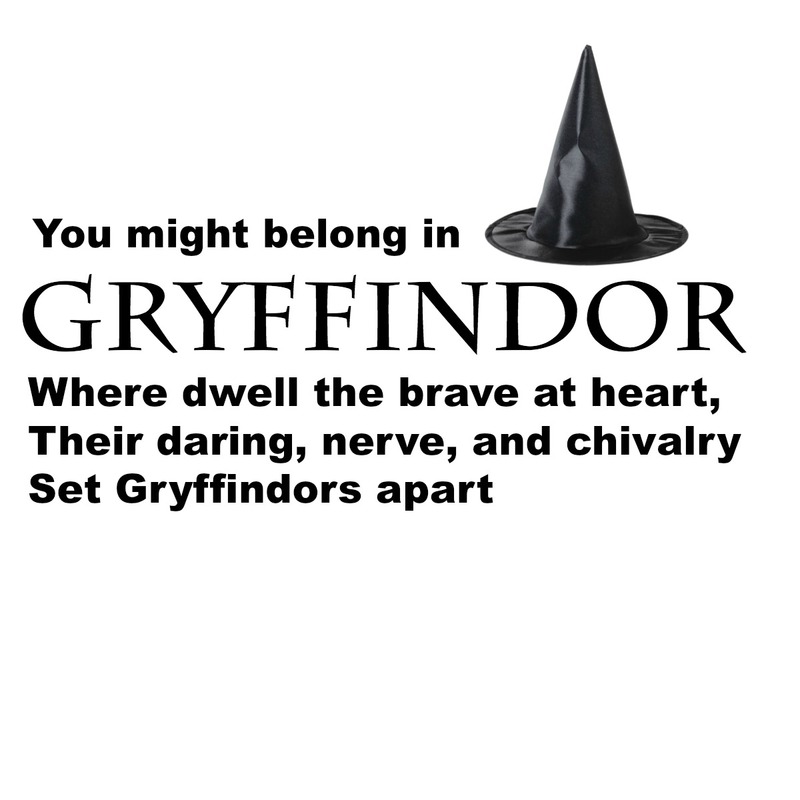 And I am a Gryffindor. 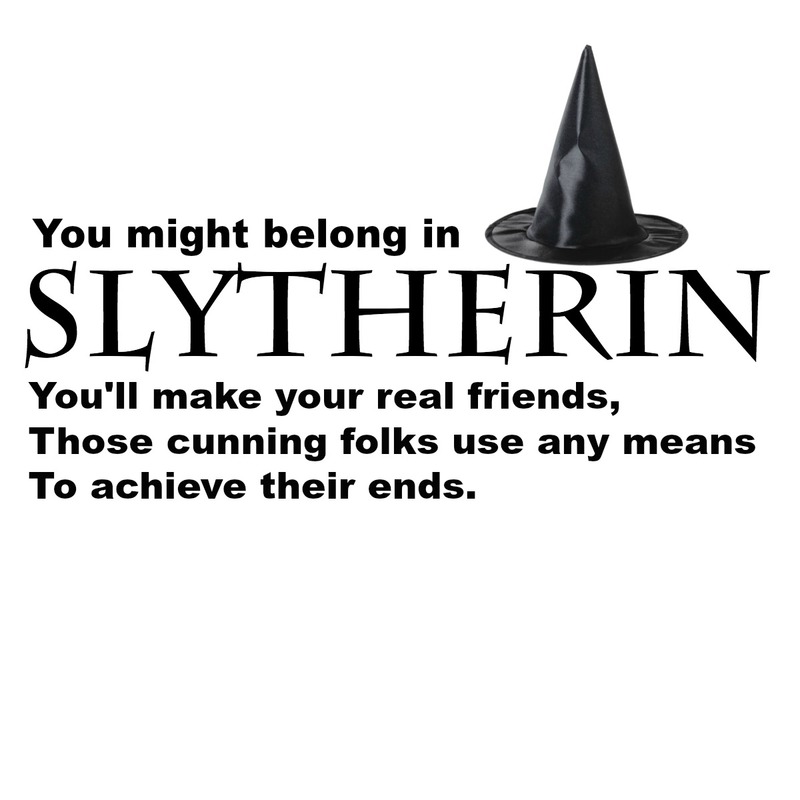 I decided to take the lyrics from the sorting had song in The Sorcerer’s Stone to show our house pride. You can find the lyrics right over here or in your copies of Harry Potter. We loved how they turned out. They were really easy to make, but my one note would be to use a different font for the smaller letters. I’ve changed the letters in in the designs below and I hope it works better. You will need Heat Transfer Vinyl and Silhouette Cutting Machine. 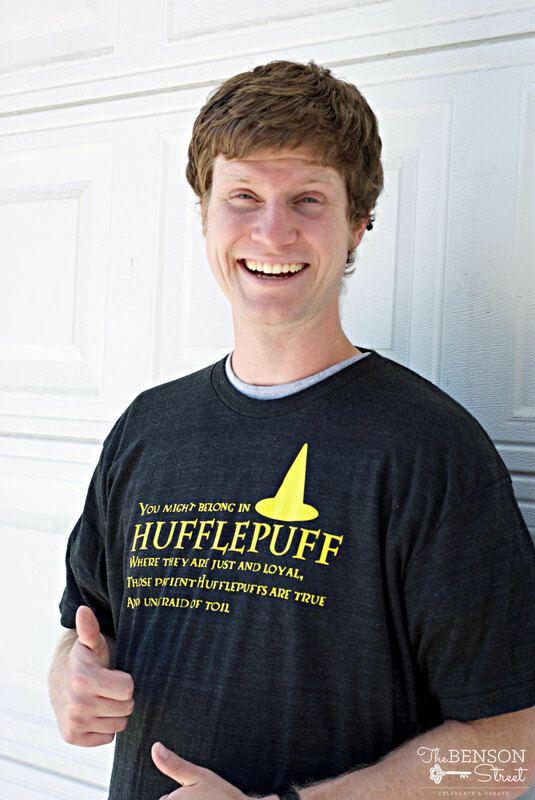 Download the correct house image here: Gryffindor, Ravenclaw, Hufflepuff, or Slytherin (click on the words and then right click and save the image to your computer). While we were buying our Honeyduke’s candy the cashier even told us she loved them and Hufflepuff and Gryffindor is a perfect pair haha! 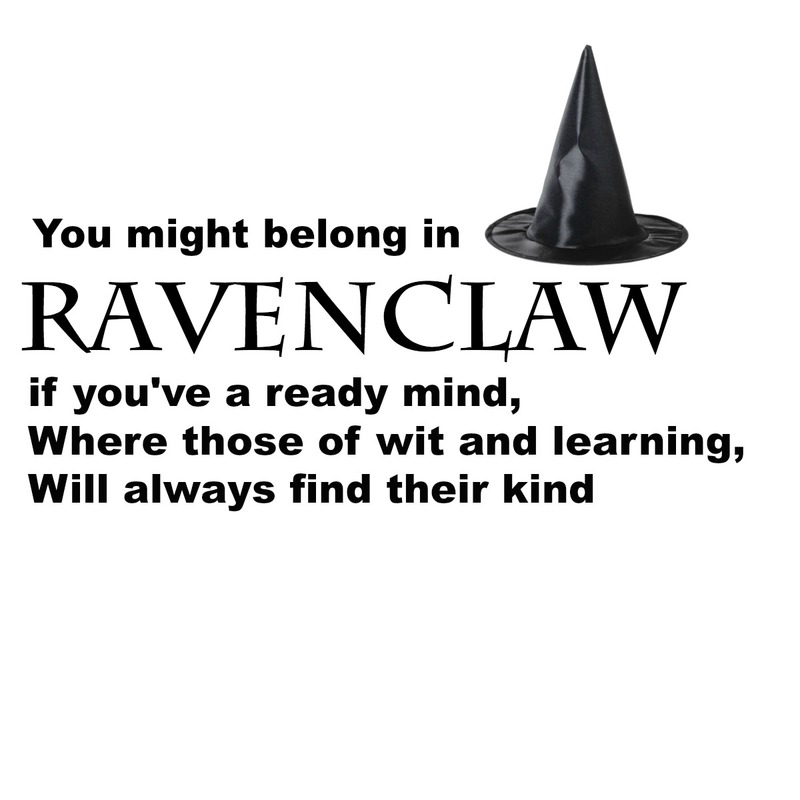 We had a great time and loved wearing our sorting hat shirts. 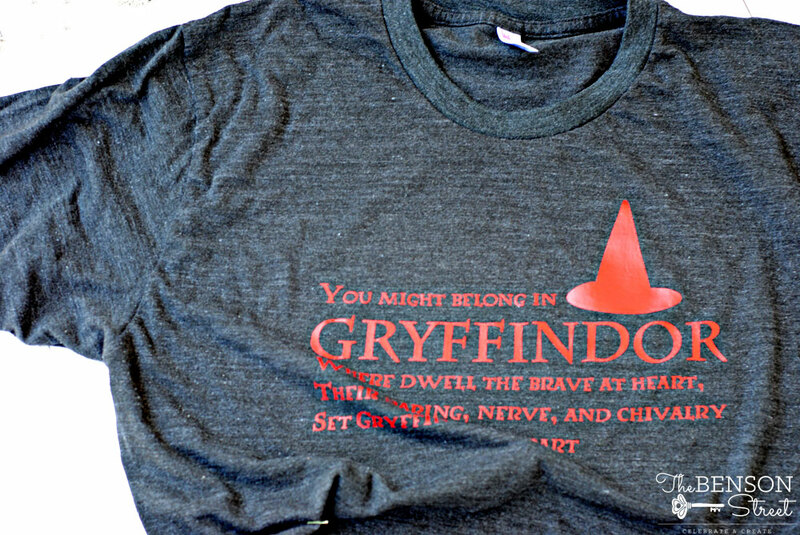 Now enter these great giveway to win some awesome HARRY POTTER SWAG!